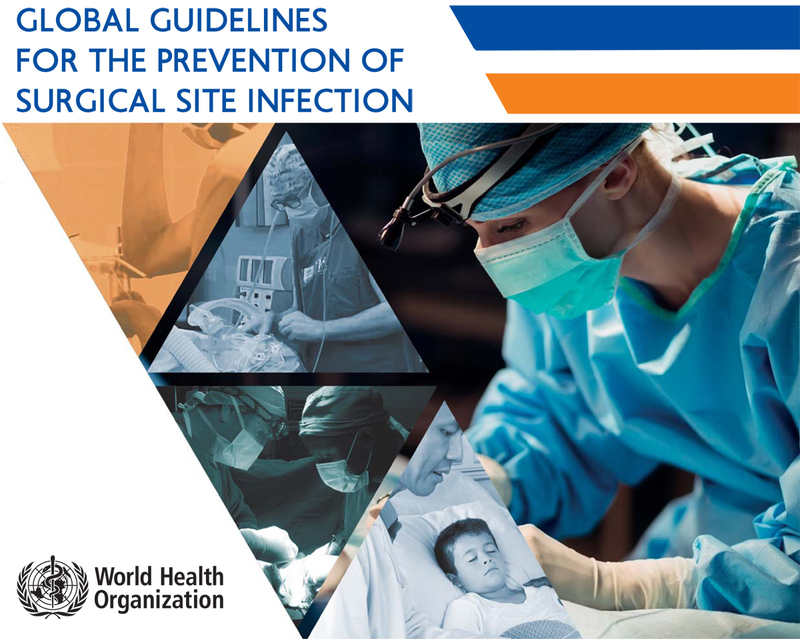 WHO launched its global guidelines on the prevention of surgical site infection. These new WHO guidelines are valid for any country and suitable to local adaptations, and take account of the strength of available scientific evidence, the cost and resource implications, and patient values and preferences. People preparing for surgery should always have a bath or shower but not be shaved, and antibiotics should only be used to prevent infections before and during surgery, not afterward, according to new guidelines from the World Health Organization (WHO) that aim to save lives, cut costs and arrest the spread of superbugs. The Global Guidelines for the Prevention of Surgical Site Infection includes a list of 29 concrete recommendations distilled by 20 of the world’s leading experts from 26 reviews of the latest evidence. The recommendations are designed to address the increasing burden of health care-associated infections on both patients and healthcare systems globally. Surgical site infections are caused by bacteria that get in through incisions made during surgery. They threaten the lives of millions of patients each year and contribute to the spread of antibiotic resistance. In low- and middle-income countries, 11% of patients who undergo surgery are infected in the process. In Africa, up to 20% of women who have a caesarean section contract a wound infection, compromising their own health and their ability to care for their babies. But surgical site infections are not just a problem for poor countries. In the United States, they contribute to patients spending more than 400,000 extra days in hospital at a cost of an additional US$900 million per year. The guidelines include 13 recommendations for the period before surgery and 16 for preventing infections during and after surgery. They range from simple precautions such as ensuring that patients bathe or shower before surgery and the best way for surgical teams to clean their hands, to guidance on when to use antibiotics to prevent infections, what disinfectants to use before incision, and which sutures to use. No international evidence-based guidelines had previously been available and there are inconsistencies in the interpretation of evidence and recommendations in existing national guidelines. The new WHO guidelines are valid for any country and suitable to local adaptations, and take account of the strength of available scientific evidence, the cost and resource implications, and patient values and preferences. They complement WHO’s popular Surgical Safety Checklist, which gives a broad range of safety measures, by giving more detailed recommendations on preventing infections. Importantly, the guidelines recommend that antibiotics be used to prevent infections before and during surgery only, a crucial measure in stopping the spread of antibiotic resistance. Antibiotics should not be used after surgery, as is often done. Antibiotics are medicines used to prevent and treat bacterial infections. Antibiotic resistance occurs when bacteria change in response to the use of these medicines. Resistance develops naturally over time, but misuse of antibiotics in humans and animals is rapidly accelerating the process. Antibiotic resistance is putting the achievements of modern medicine at risk. Without effective antibiotics for the prevention and treatment of infections, organ transplants, cancer chemotherapy and surgeries such as caesarean sections and hip replacements become much more dangerous. This leads to longer hospital stays, higher medical costs, and increased mortality.